There's not a whole lot about my process that's particularly unusual. 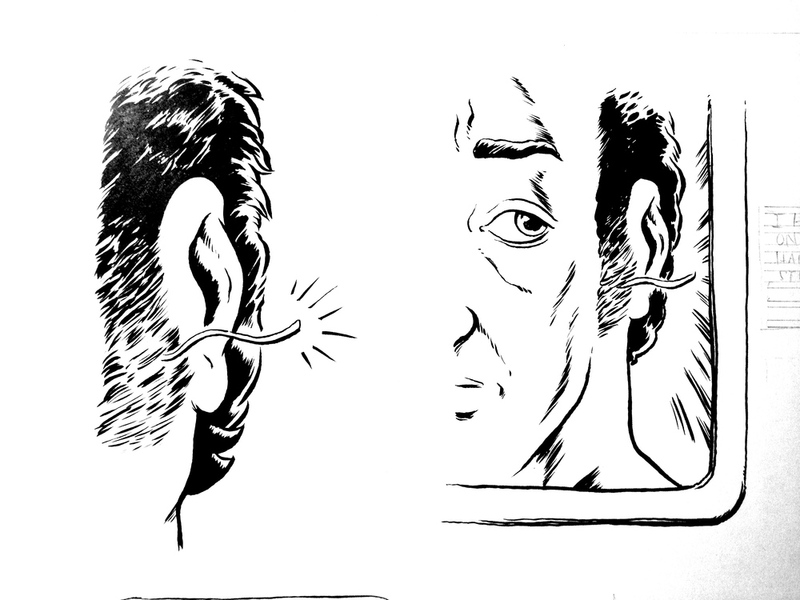 I'm pretty much making pages for Sideburns in the typical way. I am doing something possibly slightly unusual for text, but mainly I just love process posts and wanted to make one about these pages. 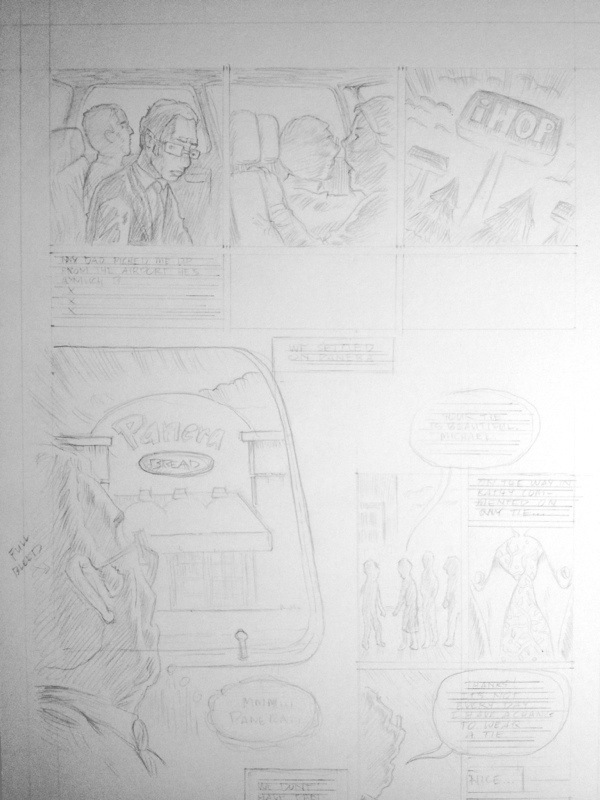 I'm using 11x17" smooth Bristol, ruling it with the standard borders, and then laying out everything in pencil. I'm keeping a photo of each penciled page for future reference and for safety. These could be used to recreate a destroyed original or for digital variations later on. Next I ink the pages. This is where everything comes together for me. I know a lot of comic artists hate inking and feel that the pencils are the true representation of their vision. I feel quite the opposite. 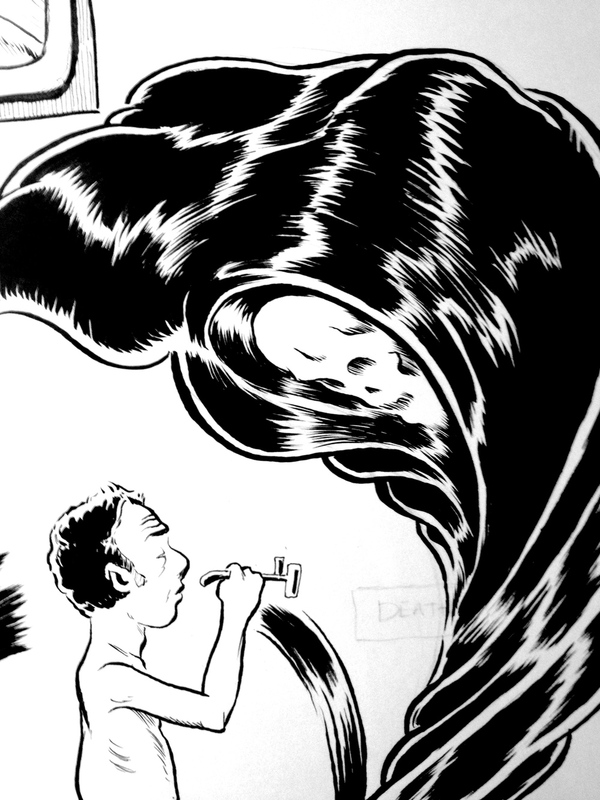 For me, inking's what it's all about. I love it. 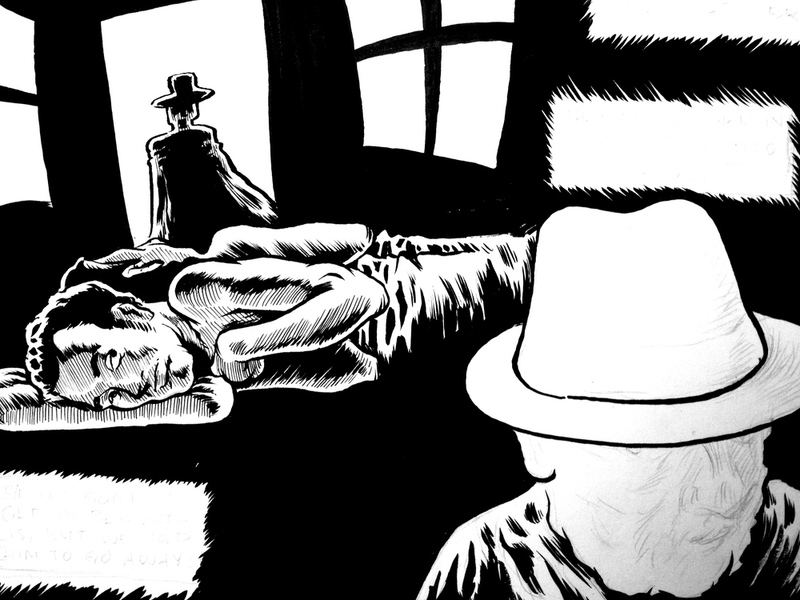 And more importantly, there is nothing more beautiful to me than the inked comic page. Next comes lettering. I'm trying to get better at it, but I'm still pretty bad. So I do all my lettering on the computer still. 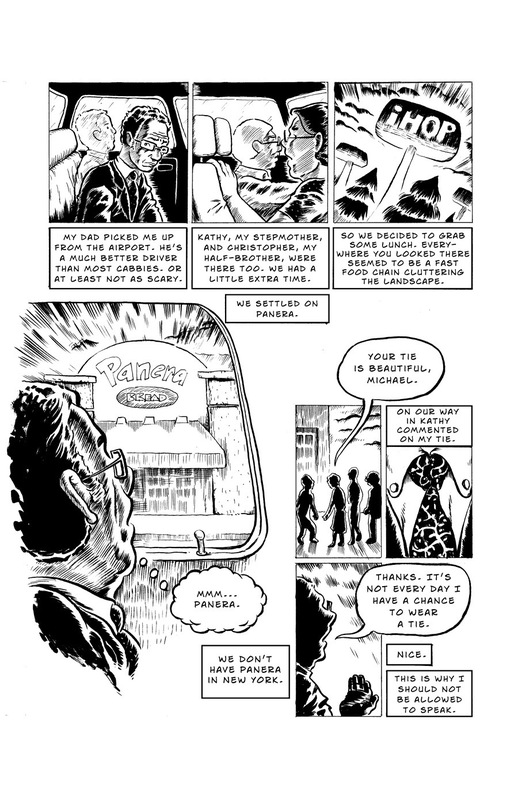 The main drawback to this is that the finished pages don't have text. Which to my eye makes them look oh so unfinished. What I've been doing to rectify the situation is printing the text out on paper, then cutting and pasting it into the finished page. It's an extra step I probably don't have to do. 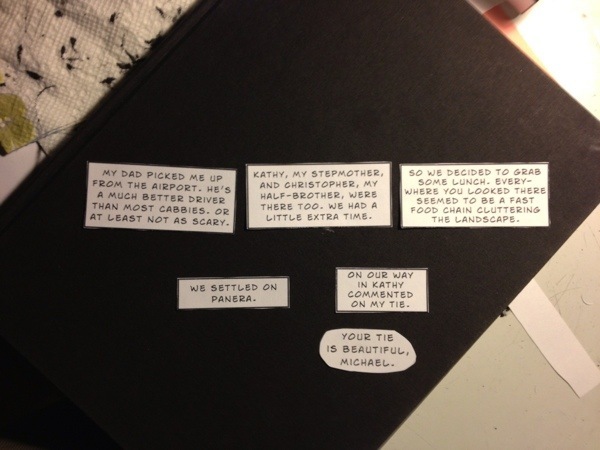 But I really find finished comic pages beautiful, and to not have the text just sticks in my craw. So The Book — Sideburns, as I've decided it will be called — is back in play. 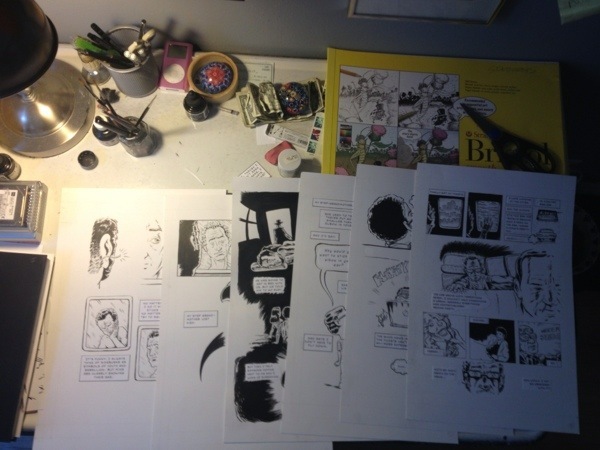 I've had the first chapter — almost twenty pages — pencilled on high quality bristol board for some time now. 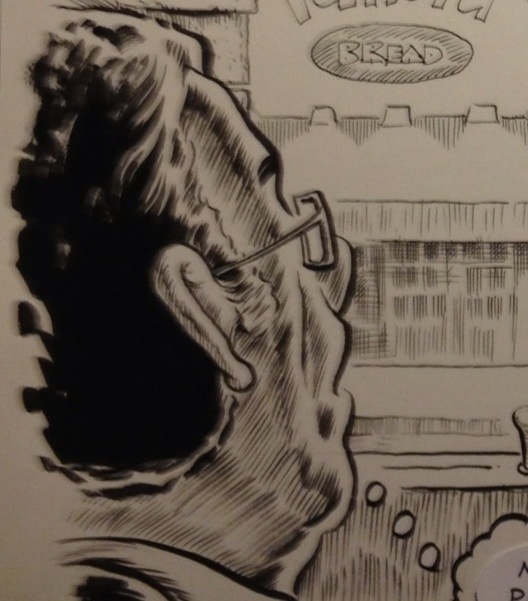 But procrastination, fear and medical catastrophe have all conspired to keep me from working on the inking. This has led to doubt and yet further procrastination. But recent experiments with some really excellent tools and techniques have me back up on the horse. I've already inked three of the pencilled pages! Just this weekend, in fact. And it's going really well. Everything's turning out great, and I'm having a blast. 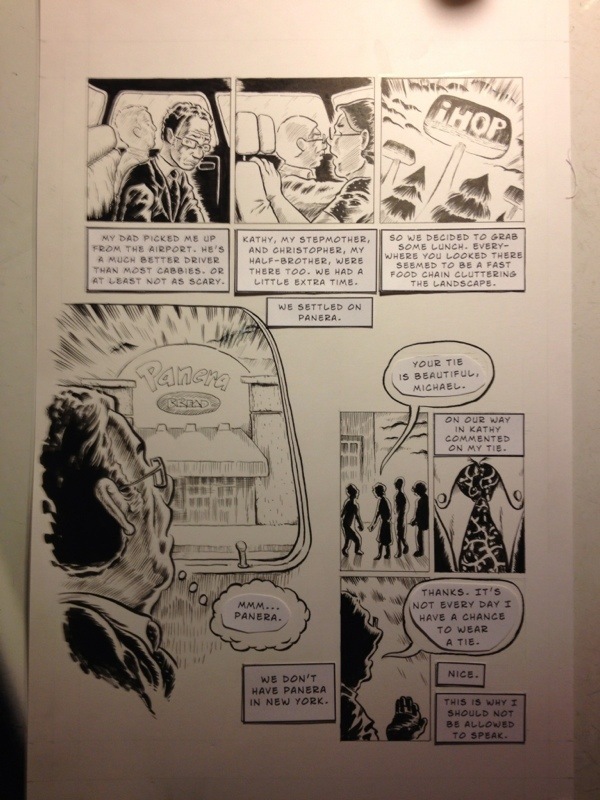 Here are some in-progress details of the first few pages. I think they look good! When I said I'd ink again, I meant it. It feels great to finally be back at it!